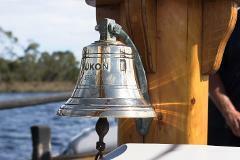 This summer we’re again setting sail with Fat Pig Farm's Sunday lunch cruises, down the Huon River aboard the good ship Yukon. 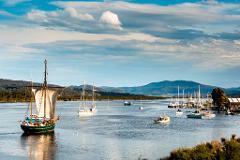 Soup and Sail - Calm Water Cruise on the Huon River (from 1/4 to 30/9) 90 minutes, Sunday to Thursday included. 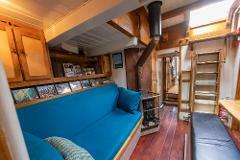 Embark and disembark Franklin Marina From 12.30 pm to 14.00 pm Includes homemade soup w/ bread.